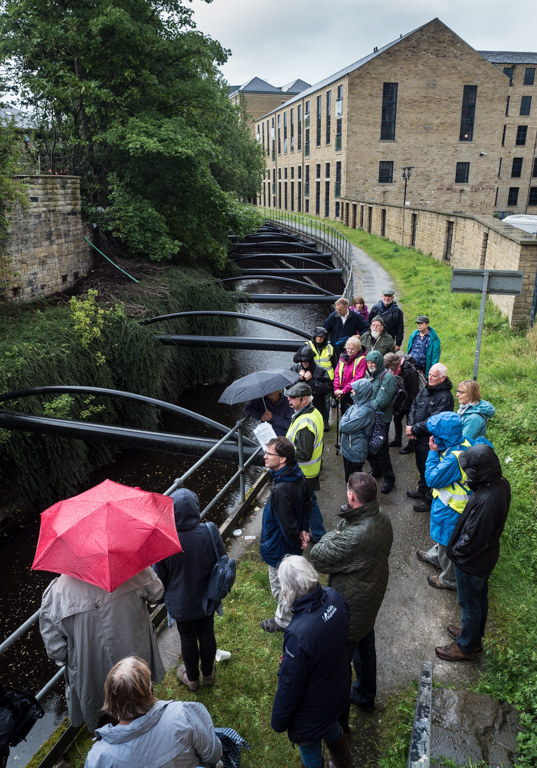 Huddersfield Canal Society teamed up with Discover Huddersfield on the ‘Rails, Roads and Canals transport’ walk around Huddersfield on Sunday 10th September as part of Heritage Open Days. Around 25 visitors joined the tour. 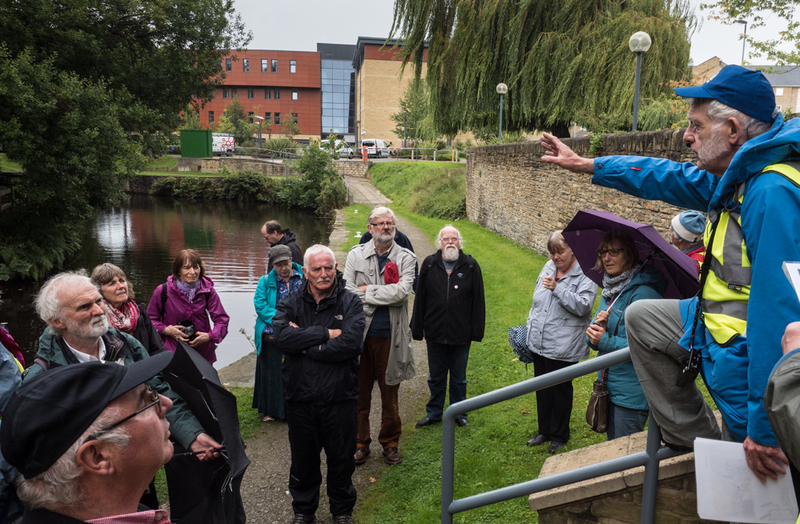 HCS Council members Trevor Ellis and Eric Woulds explained about significant features on the part of the walk which took in Locomotive Bridge, Aspley Basin, Wakefield Road and Bates Mill at Queen Street. Pictured are Trevor Ellis (in blue cap) at the junction of the Huddersfield Broad and Narrow and Eric Woulds (in the centre) explaining what went into the restoration at Queen Street. Despite the inclement weather it was a fascinating tour of key transport sights in our town.